← Let’s celebrate World Cardmaking Day with some great bargains! ONLY A FEW DAYS LEFT TO GET YOUR SPECIALS ON THESE GREAT STAMP SETS! Only a few days left to get your hands on these specials! Check out the full PDF on my webpage. Just click on the world card making day picture on the right hand side! Some great bargains!!! Sorry to have been so slack with my posts of late but have been bed ridden with a bad back. The positive is that I get to scroll through Pinterest, youtube ad Facebook to be inspired by some very talented people. I did manage to get a project made before my demise which I am quite pleased with as it started out just as a prototype but end up as quite a nice little album! I even have orders for Christmas! This is a star album which looks just like a mini photo album but when you open it up it forms a 7 point star and can be hung up by the ribbon tie. I have put some of the grand kiddie photos in this one but can’t wait to make the Christmas ones! What do you think? Will be doing classes on these in the near future!! So much fun. Apologies for the photos as they were taken on my bed tray Hahahahha! 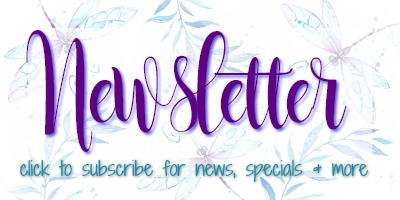 Don’t forget if you would like to subscribe to my monthly newsletter click on the link here on my page or just send me an email! We will be running a stampastck in November to make heaps of Christmas cards 9 cards 3 of each design. Should be a fun day. Book in now! Ok well it’s off to sleep now that pain killers have kicked in! Hope this blog makes sense! Oh by the way a Big shout out to sister Barb who will be doing Sue’s workshop for me this weekend! You got this sister! Sue hope you have a great time! We have some lovely cards for you to make! I want photos please!!!! ENJOY!